Militants carried out 62 attacks against the antiterrorist operation (ATO) positions in Donbas. 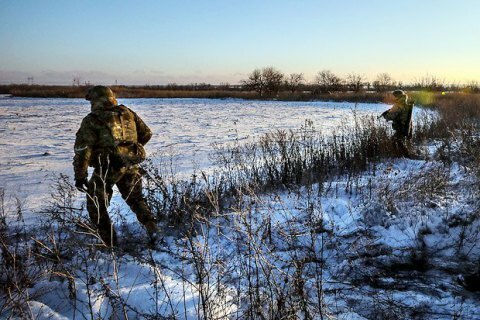 Over the past day, the two Ukrainian soldiers have been killed, two wounded and two injured in the area of the antiterrorist operation in Donbas, the ATO press centre reported on Facebook on 27 February. In the last 24 hours, 62 militant attacks were recorded. In the Mariupol sector, the enemy used mortars of various calibres to fire on Vodyane, Maryinka and Shyrokyne, small arms and grenade launchers on Pavlopil, Lebedynske, Talakivka, Hnutove, Shyrokyne, Maryinka and Vodyane. Talakivka also came under sniper fire, Maryinka and Vodyane were targeted with infantry fighting vehicles and armoured personnel carrier weaponry. Pavlopil was under tank fire. In the Donetsk sector, an enemy tank fired on Pisky and the Butivka mine, which, like Avdiyivka, Kamyanka and Luhanske, was also attacked with 120-mm and 82-mm mortars. The terrorists fired grenade launchers and small arms on Luhanske, Novoluhanske and Zaytseve. Verkhnyotoretske was shelled with APC weapons. In the Luhansk sector, militants fired 120-mm mortars on Popasna, Orikhove and Katerynivka, grenade launchers and small arms on Novooleksandrivka, Lobachove and Novozvanivka. On Sunday, Ukrainian representatives at the Joint Centre for Control and Coordination of ceasefire came under mortar fire in the area of Popasna.